HM Revenue & Customs has published guidance on what steps charities must take to ensure their overseas expenditure is considered charitable. The law was changed by the Finance Act in April 2010 to say that charities must have taken "such steps as HMRC considers are reasonable" in order for their overseas spending to be counted as charitable and therefore eligible for tax relief. This guidance defines for the first time what steps charities may be expected to take, including several examples of the steps needed for donations ranging from £500 to £1m. It says a charity might be asked to prove to HMRC that the organisation they have given money to overseas will behave charitably, as defined under English law, by showing it has taken specialist legal advice on the recipient’s constitution and the law in the recipient’s country. Alternatively it might have to prove to HMRC that it has legally binding assurances governing how the money is spent, that it can take enforcement action if the money is misspent, and that it has set up effective monitoring agreements to check how the money is spent. Rosamund McCarthy, a partner at the law firm Bates Wells and Braithwaite, said the guidance still left charities uncertain about what steps they should take, and placed heavy burdens on small charities wanting to make grants overseas. "The only way to be sure you’ve followed the law is to get HMRC to make a ruling on your procedures," she said. 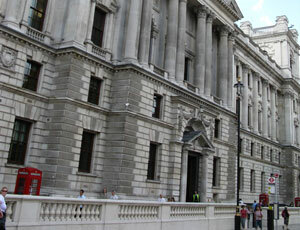 "I hope HMRC will be willing to do that. "Trustees could be put off making payments overseas by this, and that’s a shame."